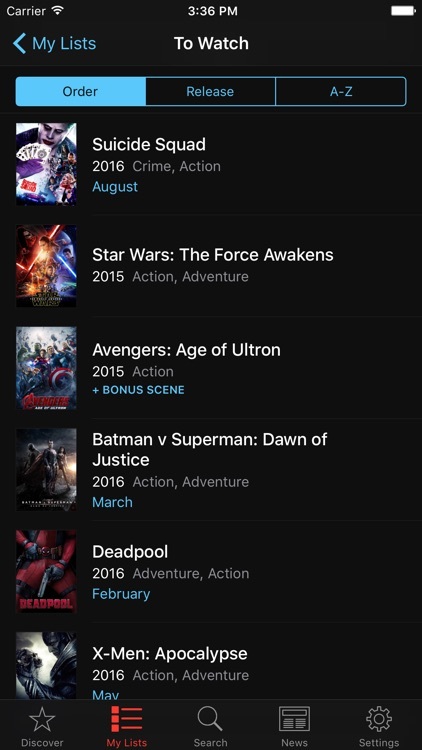 Todo Movies 4 is a beautiful and slick movie journal app for helping anyone keep track of a watchlist of movies. These movies are ones that they have yet to see, and want to see at some point in their lives. Todo Movies 4 lets users browse various categories and genres, discover new titles, and then track them as must-see or already watched. Recent updates made it possible to create custom lists too, in case you want to get creative and curate movies that are good for certain occasions. No matter who you are, keeping your movie watchlist in check is a snap thanks to Todo Movies 4. Create your own lists. 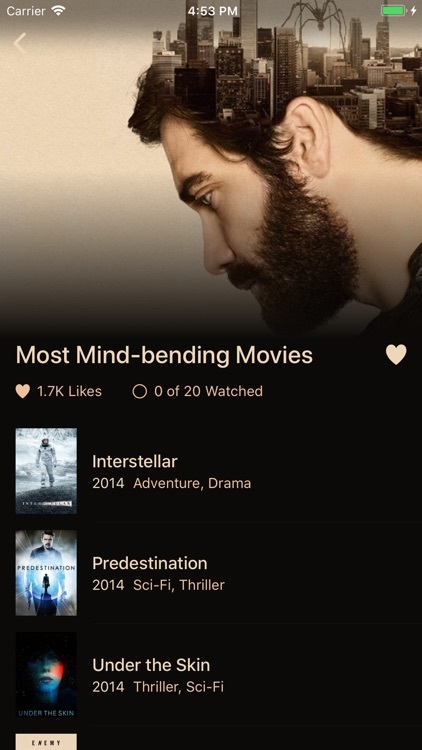 While the meat and potatoes of Todo Movies 4 is to keep track of your own watchlist of potential must-see movies, the app also lets you become a curator. Recent updates made it possible to create entirely new lists that can be for anything you want, such as "Best Action Movies of 2015." Then you just find the movies you want to add, and drop it into the list. This is a great way to keep track of movies that are perfect for certain occasions, like a "Bad Movie Night" or "Best Horror Movies for Halloween." Get creative and exercise your creativity. Discover films. 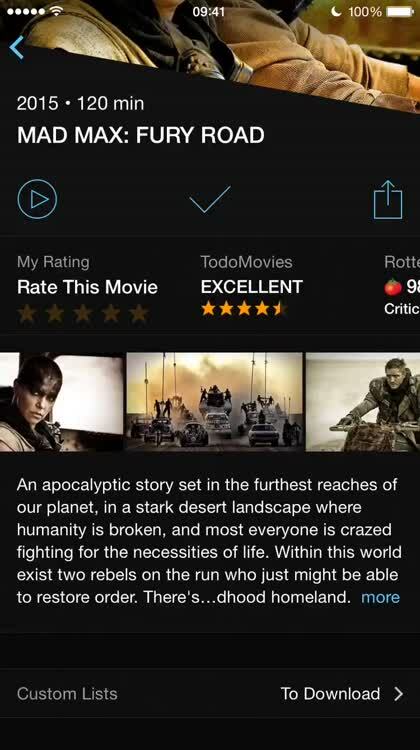 Todo Movies 4 is an app that is great for movie discovery. You can browse through various categories and genres of movies, and then peruse a beautiful grid of movie posters and find new titles to check out. 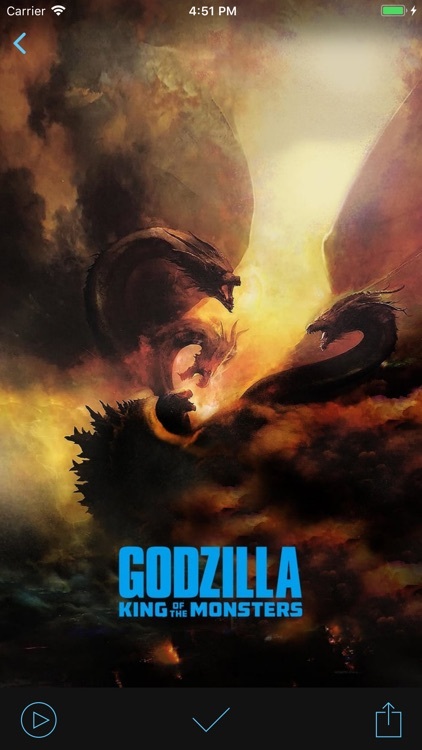 When you find something that catches your eye, just tap on it to get a full detail view that includes the movie poster, synopsis, cast and crew, photos, and other bits of information. From there, you can decide if that movie is something you want to add to your watch list, or you can share and rate it. Get the juicy bits. Todo Movies 4 has a comprehensive movie detail view that is jam packed with information. Get the running time of the movie, what year it came out in, who directed it, synopsis and plotlines, photos, trailers, and much more. 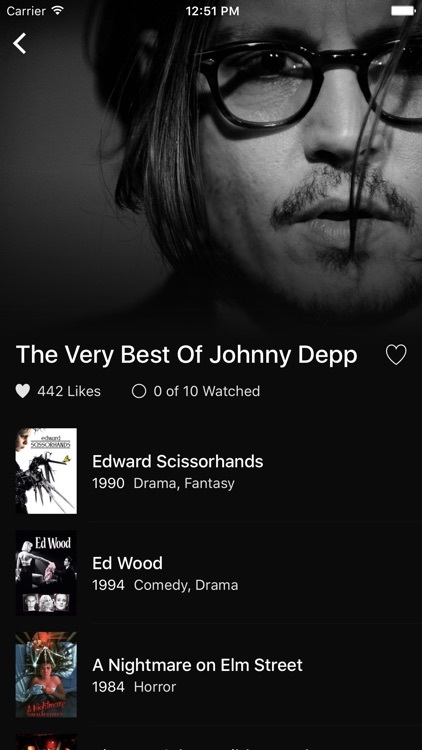 The images that are related to the film can be viewed in full screen mode, and you can add titles to your watch or watched lists, as well as any custom lists you've created. Who said todo lists can't be fun and full of entertainment? 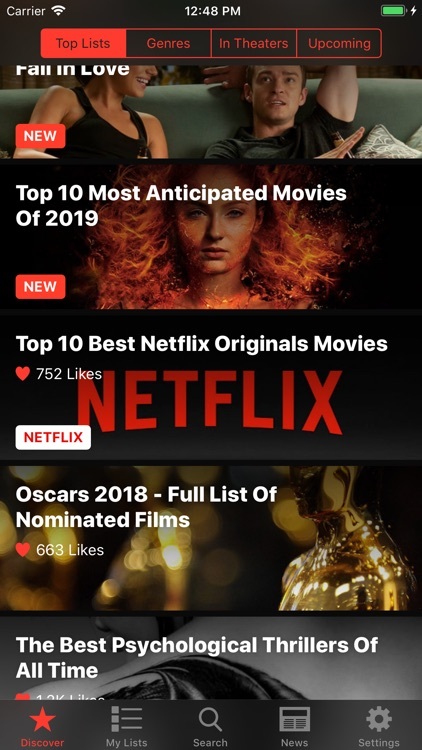 Todo Movies 4 is a gorgeous app that lets users keep track of movies they have not seen as well as what they have already watched. Plus it is now possible to create custom lists in case you want to curate a movie list for special occasions. The app is also great for discovering new titles and staying up-to-date on upcoming releases. It's beautiful and super easy to use with simple interface and packed with information. Keeping track of your watchlist has never been easier. 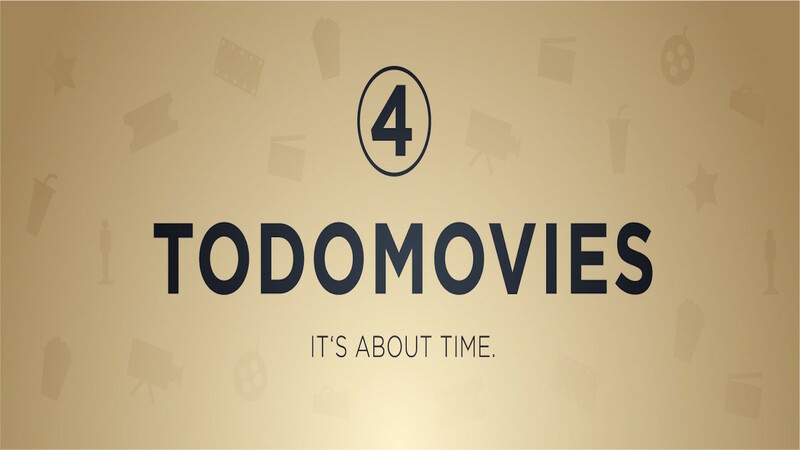 TodoMovies is the best way to manage movies you want to watch/watched, create custom lists, and discover new movies. 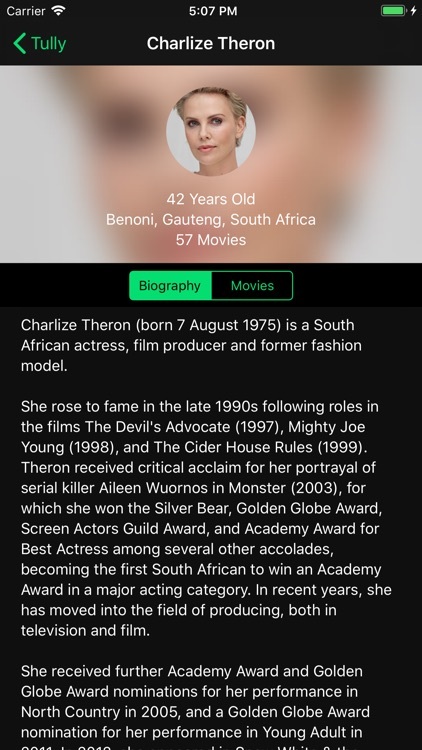 With gorgeous edge-to-edge posters and unique features like bonus scene indicators, cast profiles, release notifications, an Apple Watch app, and much more, you will experience movies like never before. TodoMovies has been featured by Apple, Empire Magazine, 9to5Mac, AppAdvice, BeautifulPixels, and many others. 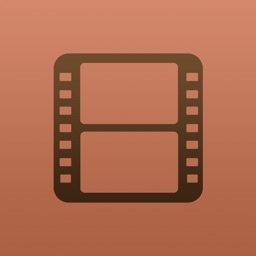 - Stunning design for iOS putting movie artwork front and center. - To Watch and Watched lists. Keep a list of movies you watched and want to watch. - Create custom movie lists (e.g "Best Action Movies of All Time" or "Movies to Download"). 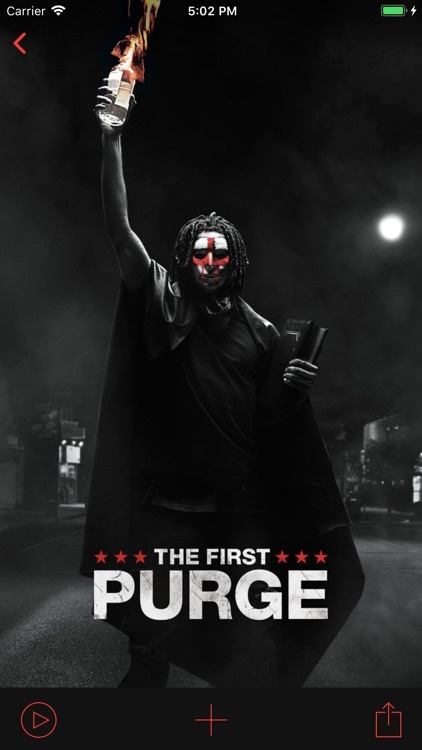 - Browse movies by Genres, In Theaters and Upcoming. 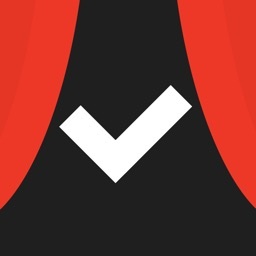 - Browse curated lists by the TodoMovies team like "Top 10 Best Netflix Originals Movies". 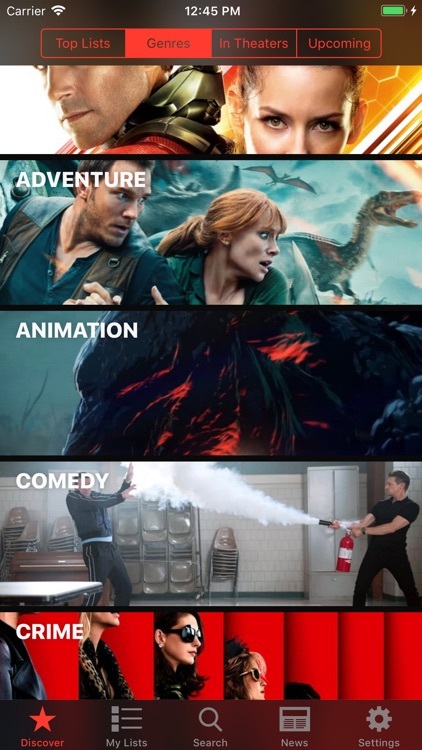 - Rate movies. 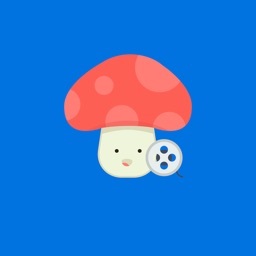 Rate and sort your watched movies by rating. - Cast profiles. Learn more about your favorite actors/directors and browse their movies. - Bonus scenes indicators. 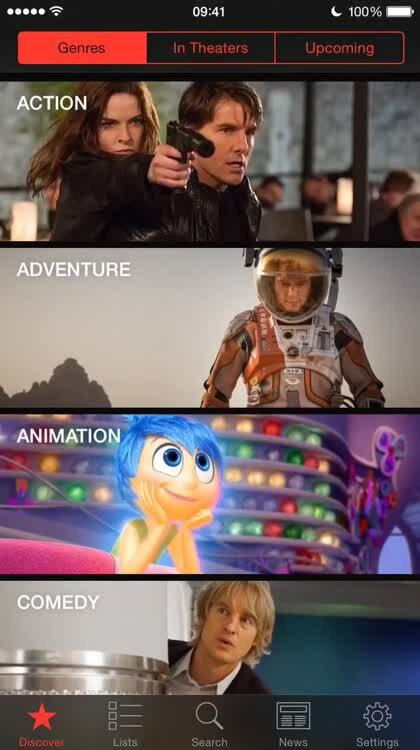 Highlights movies with extra scenes during or after credits. - Apple Watch app. 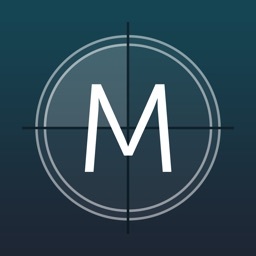 View your lists, mark movies as watched, and even rate them on your watch. - Search-as-you-type. Search quickly tens of thousands of movies and people. - Notifications. Automatically notifies you when a specific movie is released in theaters. - Trailers. Watch movie trailers in HD (or SD) in fullscreen without leaving TodoMovies. - Photos. Browse movie photos and amazing fan-made artwork in full-screen. - News. 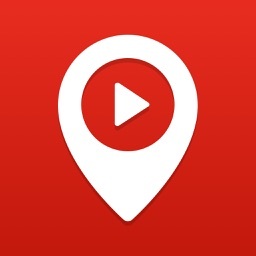 Read movies and celebrity news with TodoMovies's sleek news reader. 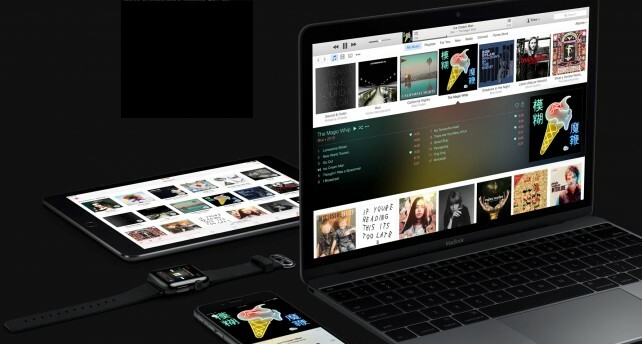 - iTunes Store integration. Check available downloads in iTunes (soundtrack, games, books) for a certain movie. With a single tap. - Gestures. 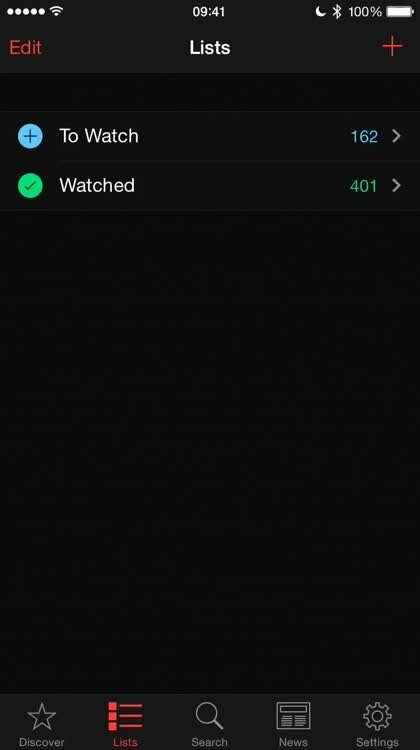 Short/long right swipe in watch lists and search to quickly rate/mark movies. - Sharing. 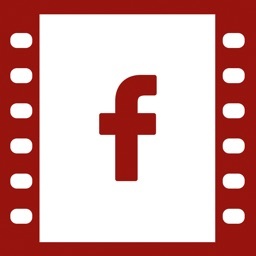 Share movies you just added or watched on Facebook/Twitter/iMessage/Email. - Localized in 11 languages. Supports global release dates and localized trailers (if available). - Backup. Ability to backup your watchlists as a single file which you can later import. - No accounts required. There are no accounts or signups required to use TodoMovies. Attribution: This product uses the TMDb API but is not endorsed or certified by TMDb. 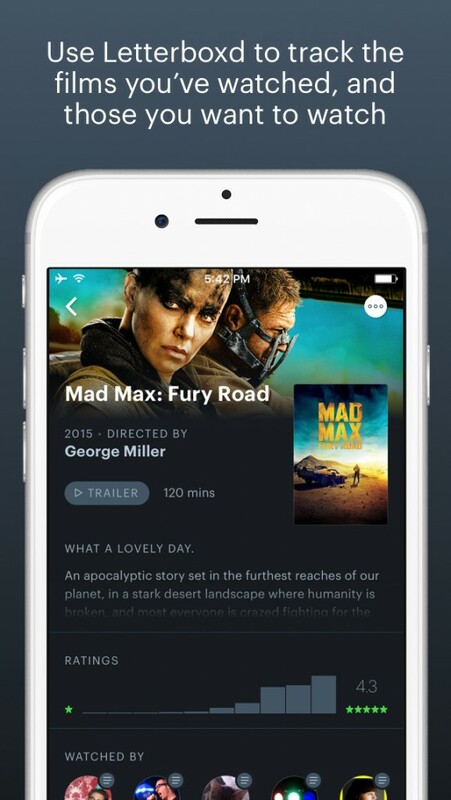 After several years, Letterboxd has a native iOS app and it was well worth the wait. Here's a look back at the stories making news last week.